An ambitious young man (Richard Dreyfuss) in post-WWII Montreal alienates his girlfriend (Micheline Lanctot) in his relentless pursuit to own a plot of land. Canadian director Ted Kotcheff‘s adaptation of Mordechai Richler‘s novel remains an engrossing coming-of-age tale featuring a decidedly unlikable yet oddly sympathetic title character. 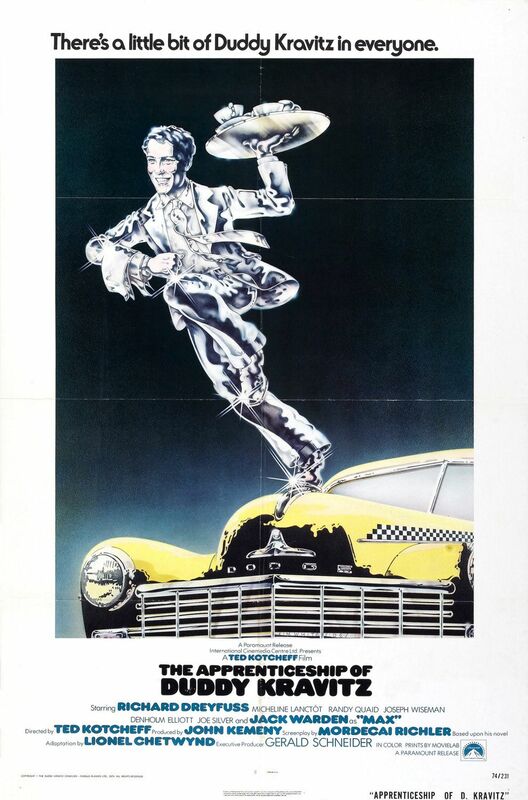 Dreyfuss couldn’t have been better cast (who else comes to mind when thinking “obnoxiously brash male protagonist”? ), and he brings appropriately relentless energy to his role as a young man so hell-bent on achieving property ownership that he ultimately sacrifices elements of his humanity. Richler’s screenplay makes it painfully clear how much suffering can result from differential treatment of siblings — which is why we understand what drives Duddy: when your older brother is the unambiguous “golden child”, receiving a disproportionate share of praise and financial support, what else can a young man do but find a way to make his own mark, in any way possible? In addition to Dreyfuss’s memorable lead performance (that cackling laugh! ), the film makes excellent use of authentic locales (it possesses a strong sense of time and place) and has an interesting score (by Stanley Myers). 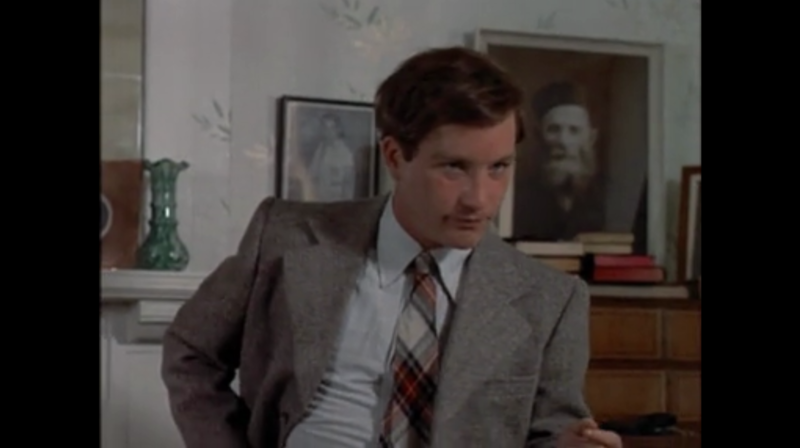 Various supporting characters and sub-plots are also strongly delineated — from Denholm Elliott’s portrayal as an alcoholic director hired by Duddy to film bar mitzvahs (the documentary-within-the-movie is truly inspired), to Randy Quaid as Duddy’s mentally slow buddy, to deep-voiced Micheline Lanctot as Duddy’s long-suffering (to a point) girlfriend. Despite its challenging subject matter and some decidedly dark narrative turns, this one is definitely worth a one-time look. Yes, as an unusual and finely crafted character study. Listed as a Personal Recommendation in the back of Peary’s book. 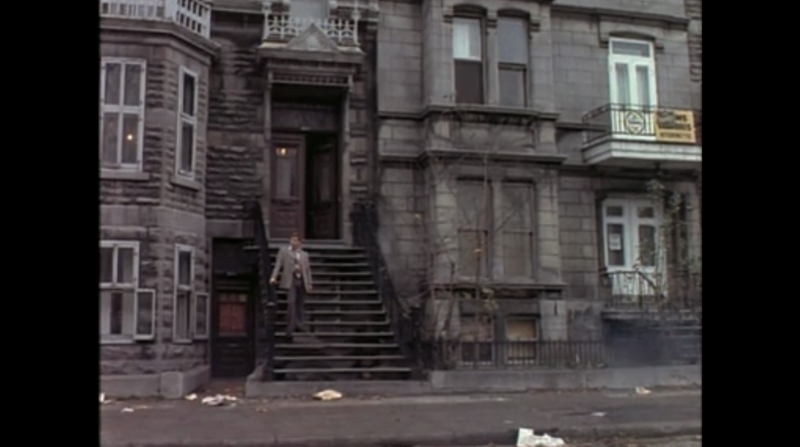 A once-must, as an unusual film and for Dreyfuss’ performance (he’s not at all a favorite of mine, but I’ll concede that he’s very effective here). I’m rather in agreement with the assessment. This seems to be a rather overlooked film, which is a shame. The narrative is compelling and it’s easy to get caught up, particularly in some of the surprising turns.